Bangui, Central African Republic— The Peace Road event in the Central African Republic took place on August 31, 2017 in Bangui, the nation’s capital and largest city. Bangui, Central African Republic—In search for a sustainable peace in the Central African Republic, UPF-CAR, in collaboration with two NGOs, held a peace education conference on July 21, 2017 in the theater of the Youth House in the 8th District of Bangui, the nation’s capital and largest city. Bangui, Central African Republic—One month after the Bangui National Forum, UPF invited 80 leaders to discuss the forum’s recommendations. Bangui, Central African Republic - An International Day of Peace Forum took place on September 19 in the Chamber of the National Transition Council in Bangui with the First Lady as a special guest. Bangui, Central African Republic - A women's conference on March 21 and 22 culminated celebrations of the International Women's Day in Bangui, capital of the Central African Republic. The Women's Federation for World Peace, UPF, and OFCA (the main women's group in the country) sponsored the event, which concluded with an Ambassador for Peace appointment. Bangui, Central African Republic - UPF-Central African Republic organized three peace conferences, in Bangui, Bimbo and Gababaja, in commemoration of the International Day of Peace. Bangui, Central African Republic - Educational programs are being held for Ambassadors for Peace and plans are underway to develop Youth Ambassadors for Peace clubs, a conference for women, and a fish farming project. Bangui, Central African Republic - Two American Christian leaders came to the Central African Republic to deliver the UPF peace message. At the airport, they saw a strong military presence but as Ambassadors for Peace, they were determined to share the message of peace in this difficult situation. Bangui, the capital of the Central African Republic, hosted a rally on October 7 at the Hotel Oubangui to deliver the UPF peace message. The national leader, Rev. 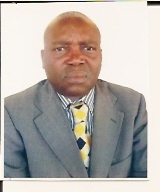 Noël Salogba, and his wife represented the continental leader, Rev. Eiji Tokuno, at this event. Bangui, Central African Republic - The people of Bangui came in massive numbers to listen to UPF's peace message delivered in the National Assembly Building.